Formerly a small shop that had people coming to Encino from far and wide, BatterFish is a fish and chips operation on four wheels that serves up the crunchy dish to people all around L.A. Customers are encouraged to build their own fish and chips plate, choosing from options like catfish, tilapia, curry batter, garlic ginger batter, sweet fries and more, along with a bevy of sides like mushy peas and onion rings. Owner Jason Killalee was born and raised in Dublin, Ireland, and though he worked in a number of impressive L.A. restaurants, his nostalgia for the food of his homeland only grew stronger. 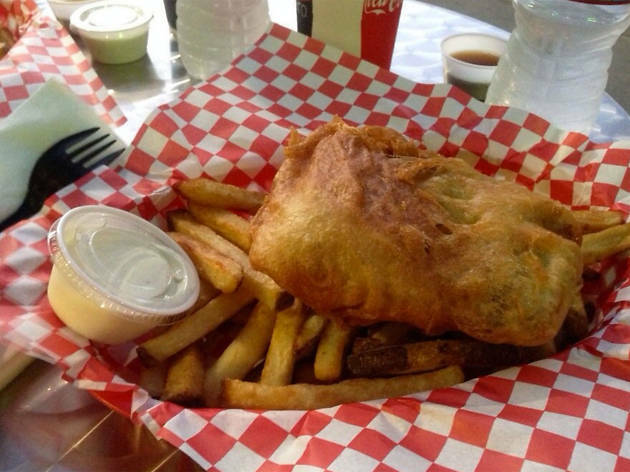 You sense it in the crunch of the perfectly fried batter and the tenderness of the fish. If you close your eyes, you almost feel like you're having lunch across the pond. Follow BatterFish on Twitter to see their whereabouts.